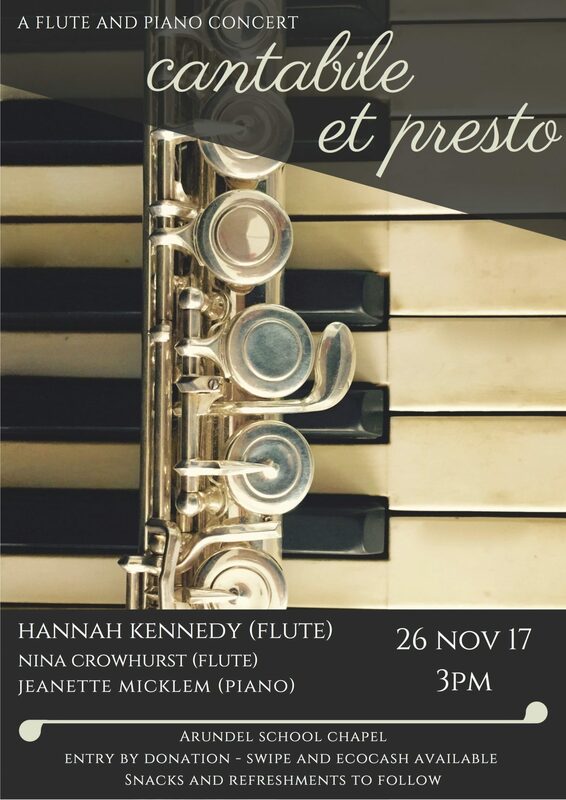 Cantabile et Presto - A flute and piano concert performed by well known Zimbabwean artists, Hannah Kennedy (flute), Jeanette Micklem (piano) and Nina Crowhurst (flute). Playing popular pieces by Enesco, Milhaud, Massenet, Handel with a special closing of a Kuhlua trio. Musical variety to delight all tastes! 26 Novemeber 2017, 3pm at Arundel School Chapel. Entry by donation – swipe and ecocash available.